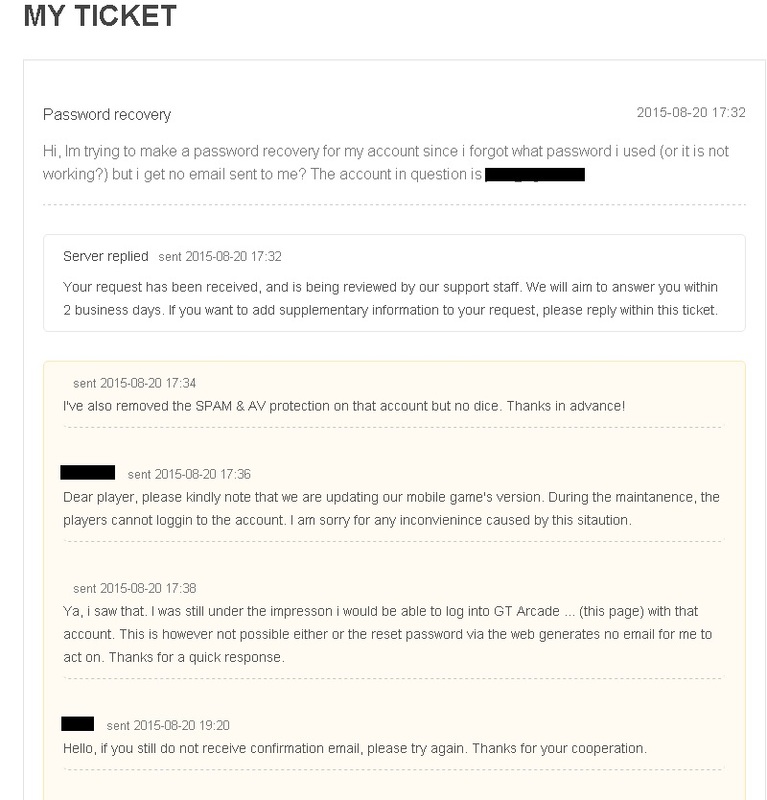 I\'ve lost the password (forgot / doesn\'t work anymore);for my GTArcade account. 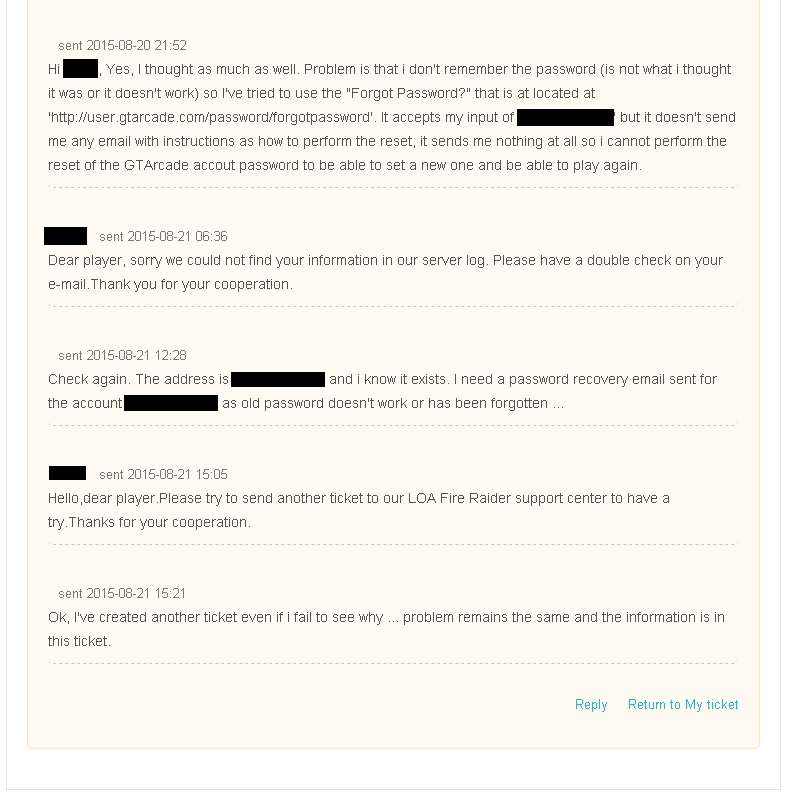 I\'ve tried to use the \'Forgot Password?\' at \'http://user.gtarcade.com/password/forgotpassword\' but it doesn\'t send me any email to act on. I\'ve not set any recovery address that this could end up in, i just don\'t receive the email ... please help. hello! sorry, i might be misunderstanding. 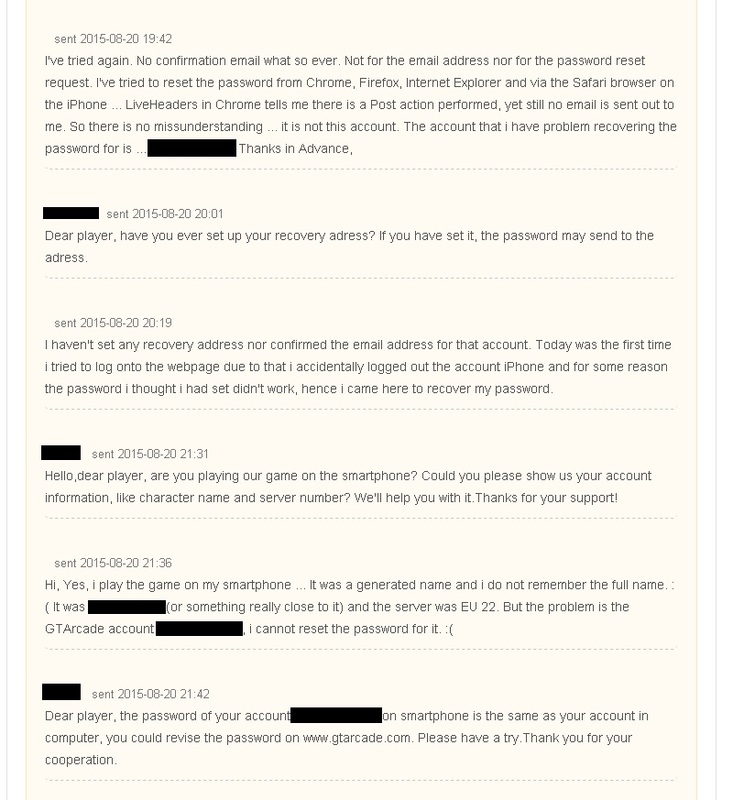 you haven\'t received the email in your account email, and you don\'t have a recovery address - is this correct? Correct. 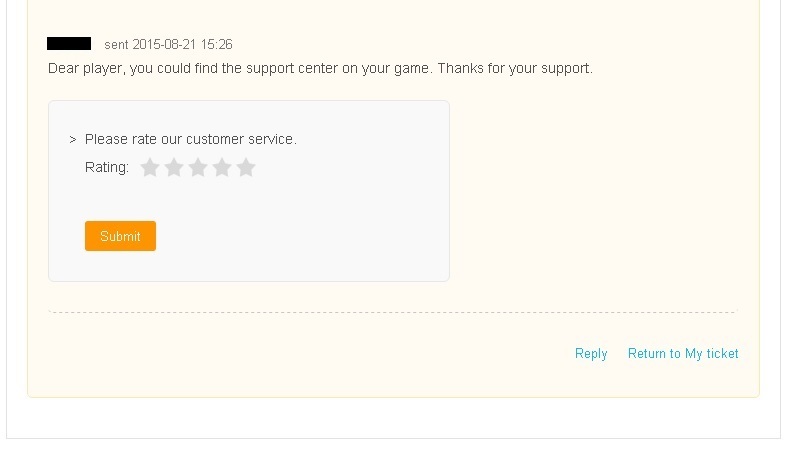 This account is a dummy account so that i can get in touch with support in some way. 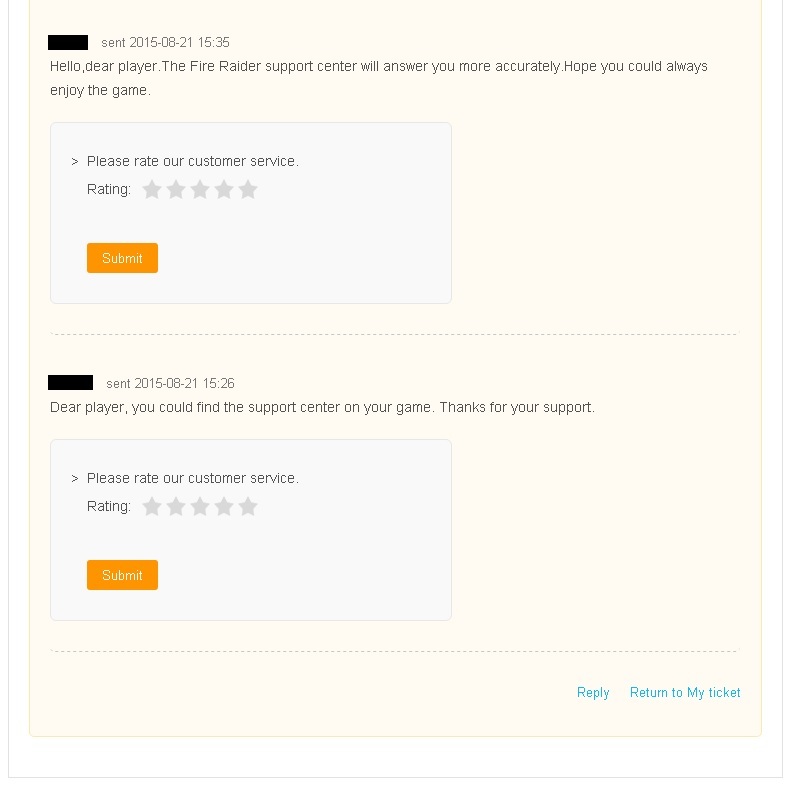 Tried to use the support center for LOA:FR and this is the result. Someone ... help me reset the password for my GTArcade account. Also, one of the replies is that the account is none existant ... this is wrong. The prompt when using my account states Incorrect username or password. while using a fictive address that doesn\'t exist in the system is Please enter a valid email address!. Also when/if i use SIGN UP it states This email address has already been registered!. 2019-4-23 18:42 GMT+8 , Processed in 0.054508 second(s), 40 queries .